To celebrate Bugatti's 110th anniversary, we are launching the Baby II, a modern tribute to Ettore's masterpiece. Just like the original, the Bugatti Baby II will be a strictly limited edition: just 500 cars will be created. The build slots will be allocated on a 'first-come, first-serve basis', so please do reserve your slot as soon as possible by clicking the button below. The car that brought Automobiles Ettore Bugatti to fame in the 1920s, the Bugatti Type 35, is generally acknowledged as the most successful racing car of all time. During its long career it won around 2,000 professional and amateur races, averaging more than fourteen per week at its peak. 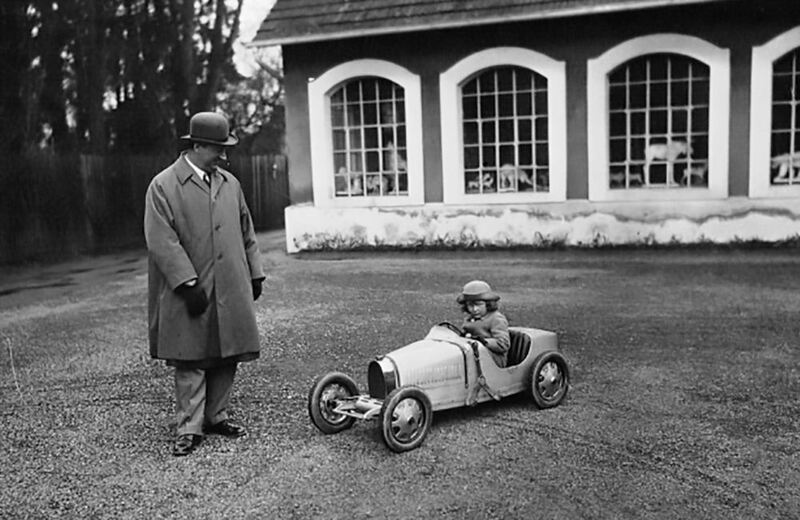 In 1926 Ettore and his son Jean decided to build a half-scale Type 35 for Ettore's youngest son, Roland, on the occasion of his fourth birthday. What Ettore and Jean had intended as a one-off present, became an official Bugatti vehicle. The feedback from customers visiting Molsheim had been so positive that it went into production and was sold between 1927 and 1936. The Bugatti 'Baby' was born. Cherished by Bugatti enthusiasts worldwide, today no collection is complete without a Baby. However, with only around 500 ever made, they have been the preserve of the lucky few. 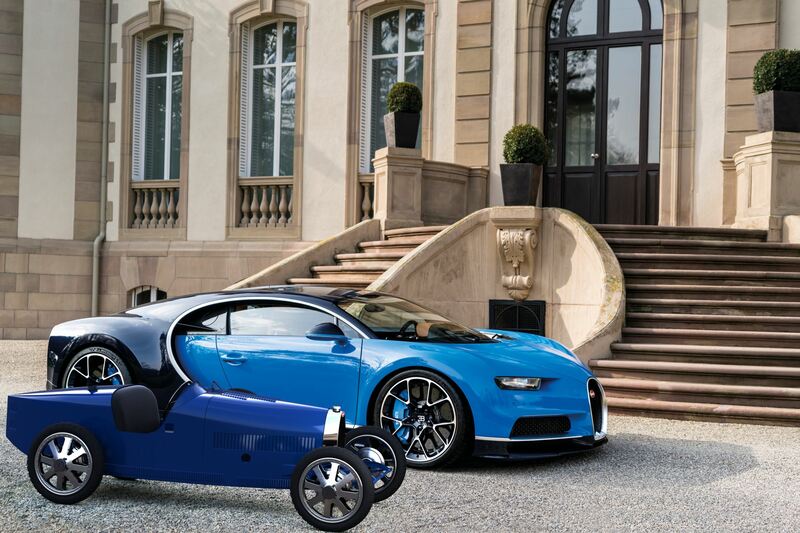 To celebrate Bugatti's 110th anniversary, we are introducing the smallest member of the Bugatti family: the Baby II. A contemporary tribute to Ettore's masterpiece, the Baby II will be a strictly limited run, just like the original: only 500 cars will be built. 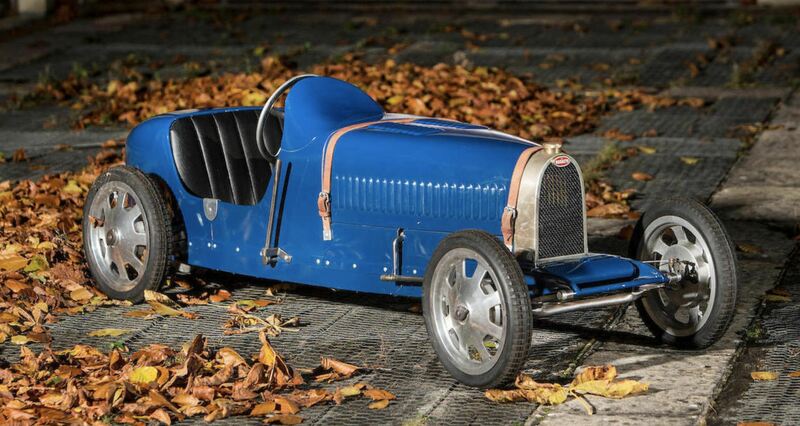 Unlike the original, which was only suitable for the youngest drivers, the Baby II is a three-quarters-size replica of the Bugatti Type 35 so it can be driven by both adults and children. The Baby II will allow automobile enthusiasts from across generations to share the love of driving and of the classic marque of Bugatti. Launching almost a century after its predecessor, the Baby II has been created using the latest technology, but with the utmost respect for Bugatti's automotive heritage. Hand-built, the car was designed with the aid of a precise digital scan of an original Type 35, built for the 1924 French Grand Prix in Lyon. Unlike the original, which was only suitable for the youngest drivers, the new Baby II can be driven by both adults and children. The Baby II will allow automobile enthusiasts from across generations to share the love of driving and of Bugatti. Just like the original Baby, the Baby II has a rear-wheel-drive battery-powered electric powertrain. Unlike its predecessor, the Baby II features removable lithium-ion battery packs, a limited slip differential and even regenerative braking. The junior car will come with two selectable power modes for drivers of different statures: a 1kW 'child mode' with the top speed limited to 20 km/h, and a 4kW 'adult mode' with the top speed limited to 45 km/h. In addition, for those enthusiasts who crave even more pace, an optional 'Speed Key' upgrade is available (just like the Speed Key for its big brother, the Chiron! ), which allows power of up to 10kW and disengages the speed limiter. 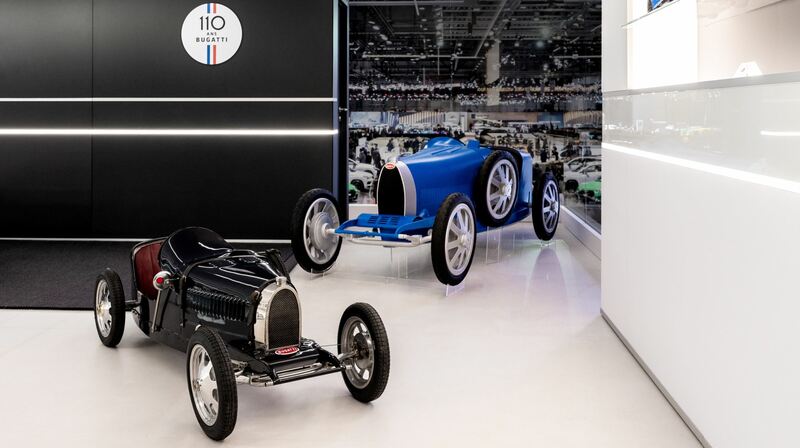 Despite being the smallest member of the Bugatti family, the Baby II has a lot in common with its bigger brothers. Proudly displayed on the nose of the car is Bugatti's famous 'Macaron' badge, made of 50g of solid silver, just like the Chiron. 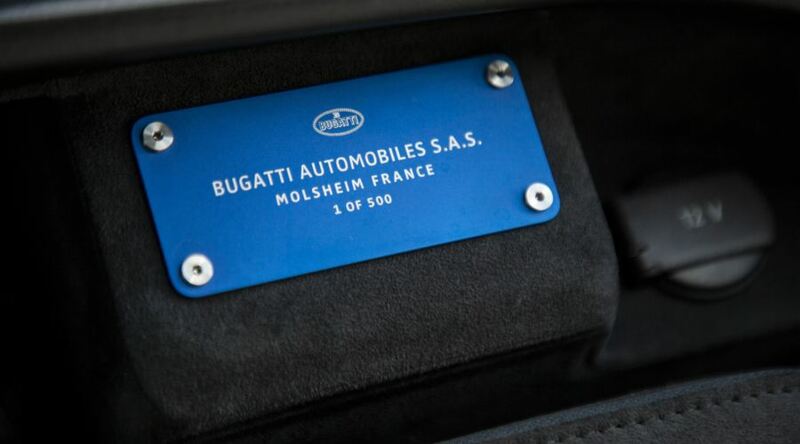 Only 500 of the Bugatti Baby II cars will be made, and each will include its own plaque displaying its unique chassis number. The cockpit of the Baby II features Bugatti's signature turned aluminium dashboard, a leather seat, a scale recreation of the Type 35's distinctive four-spoke steering wheel and custom Bugatti instruments. The exterior of the car is painted in traditional French Racing Blue, although buyers will be able to order in a range of alternative colours. The signature eight-spoke aluminium alloy wheels are scale replicas of Ettore Bugatti's ground-breaking 1924 design, and house modern brakes on each wheel. Finally, powerful headlights light the way ahead for drivers young and old. 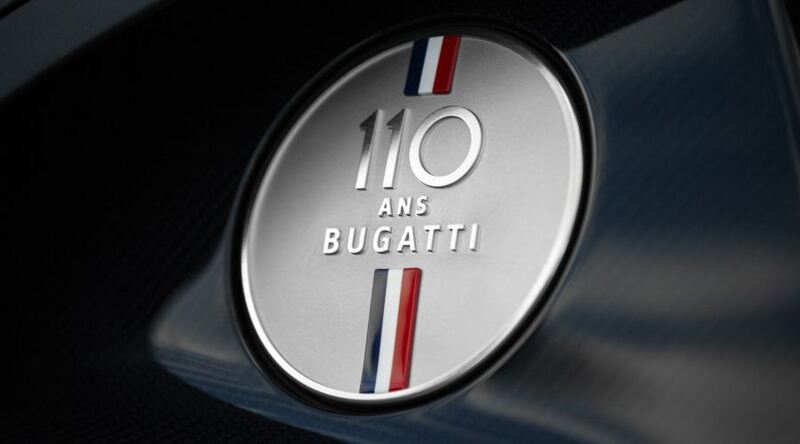 All cars ordered in 2019 will also incorporate a badge to commemorate Bugatti's 110th anniversary. © 2019. All Rights Reserved. Junior Classics Limited. 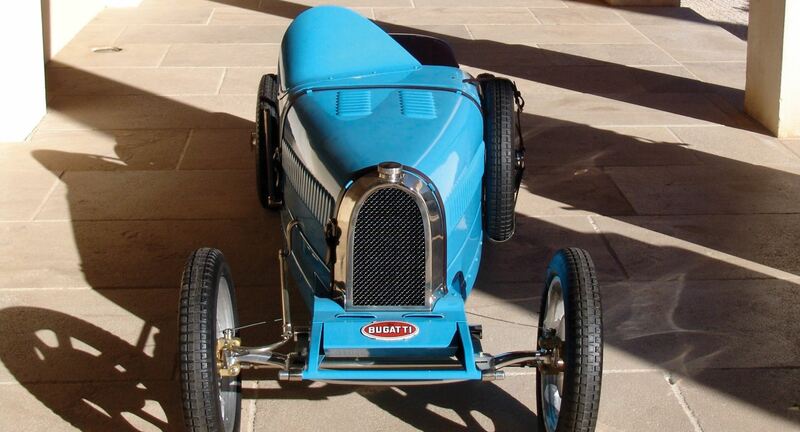 The Bugatti Baby II is hand built in the UK under license by Junior Classics. 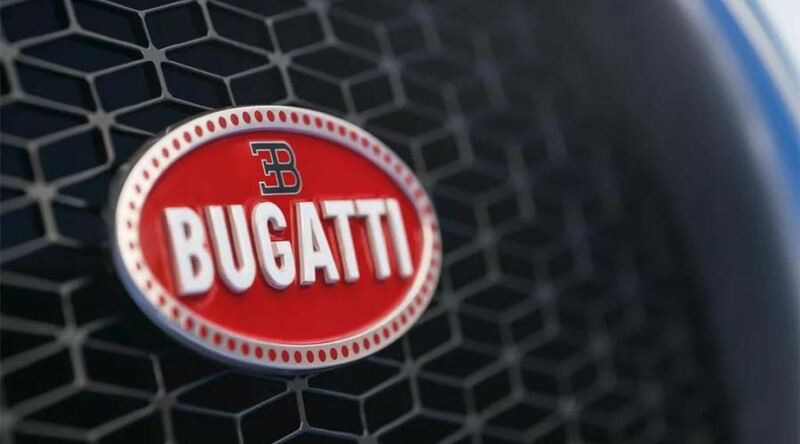 Use of the Bugatti brand is with permission of Bugatti Automobiles S.A.S.